Bangladesh Bureau Statistics Job Circular 2018 Published. Recently Government of the People’s Republic of Bangladesh has been published bbs Job Circular 2018. As a Resul, we have given this requirement this page. 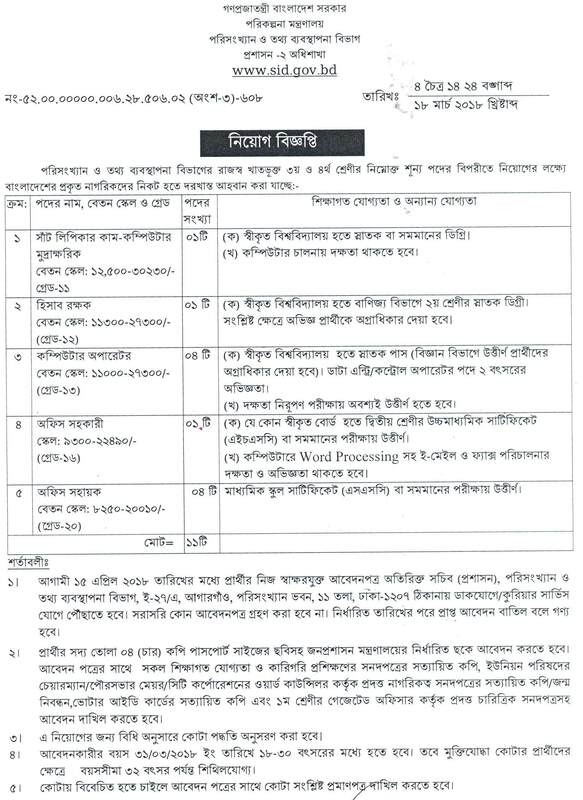 So you can download all information Bangladesh Bureau Statistics Jobs Circular. We also will be found this jobs exam date exam result and more. So visit our website and get all updated information about this requirement. Recently Bureau Statistics Career Opportunity Published by Daily Newspaper. So we published this Requirement here. Bangladesh Bureau of Statistics vacancy all updated information we will be found here. As a result, you can download all necessary information of this job. Download Govt Job Circular this page. Total Number of Post 11. Application Will be Closed:15 April 2018.